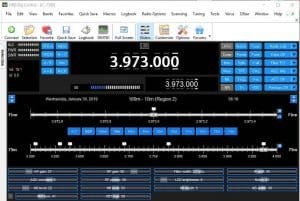 A long time ago I did a 2 minute video setting up the Icom 7300 with Ham Radio Deluxe, but the software has changed and many more new Hams have the Icom 7300. It’s time to update with an article and video. 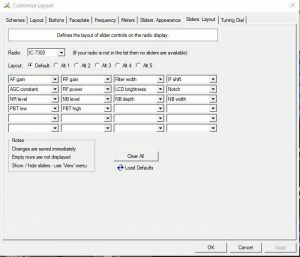 Included is how to customize the HRD rig control window with frequently used sliders and a new color scheme. 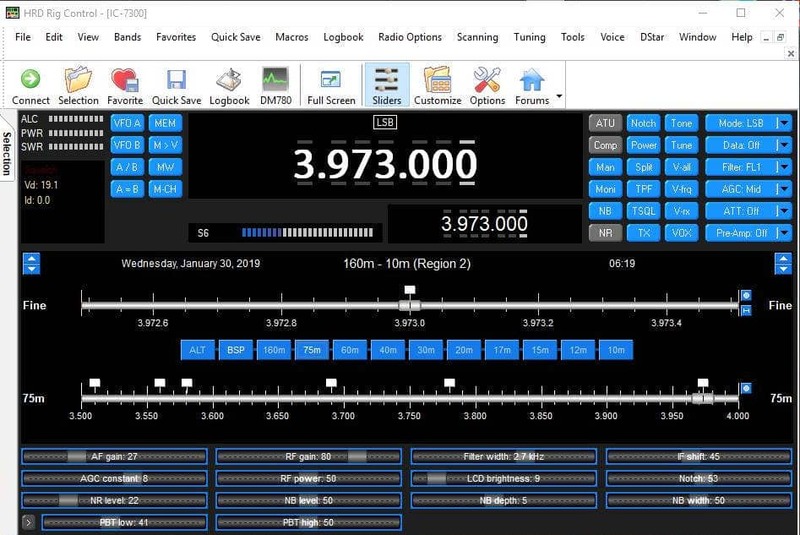 In the old video I was using the free version of Ham Radio Deluxe and today I will be using the latest paid version. It’s quite simple once the Icom USB driver is installed and the radio is setup. In this video we will be using one USB cable. 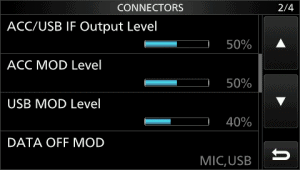 In the future Ham Radio Deluxe will include a panadapter display like DXLab Suite, N1MM Logger+ and other programs. 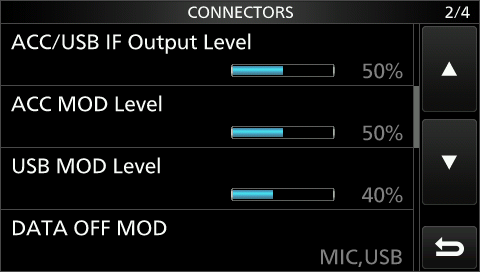 That’s the reason for the USB cable instead of the CI-V cable this time. 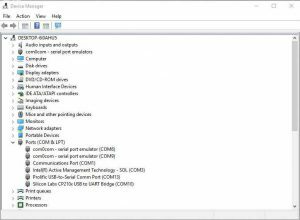 Before connecting the USB cable, download and install the Icom USB driver. You can find it here. It’s imperative to do this in the proper order. 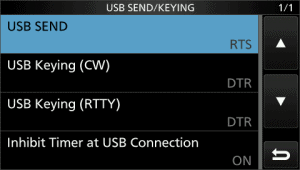 Connecting the cable before installing the Icom driver will cause problems. 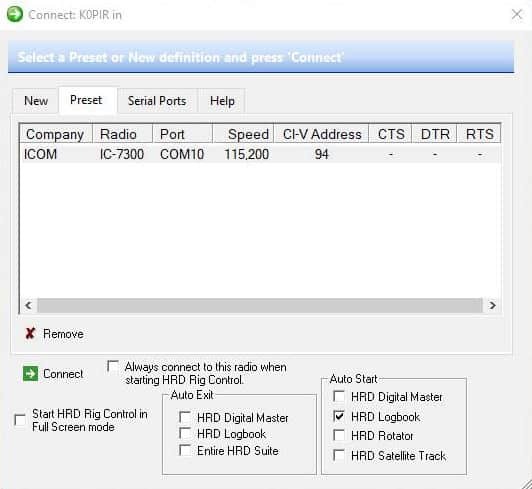 Download and install the latest Ham Radio Deluxe. This is the paid version and there is a 30 day trial. 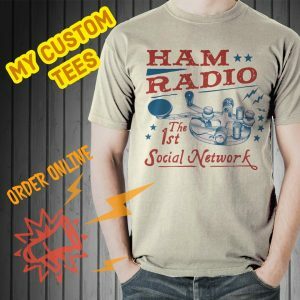 You can find it here: Ham Radio Deluxe. 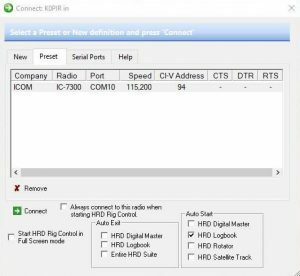 If you are still interested in the free version and getting it running with the Icom 7300, see this article: Icom 7300 and Ham Radio Deluxe Setup. 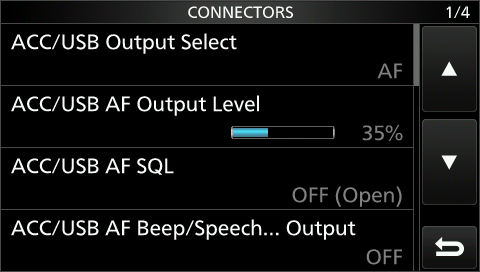 Here are the screen shots for important settings in the radio. 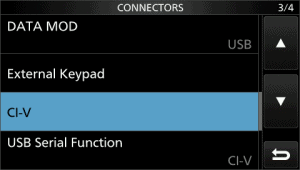 Go to MENU>SET>Connectors. 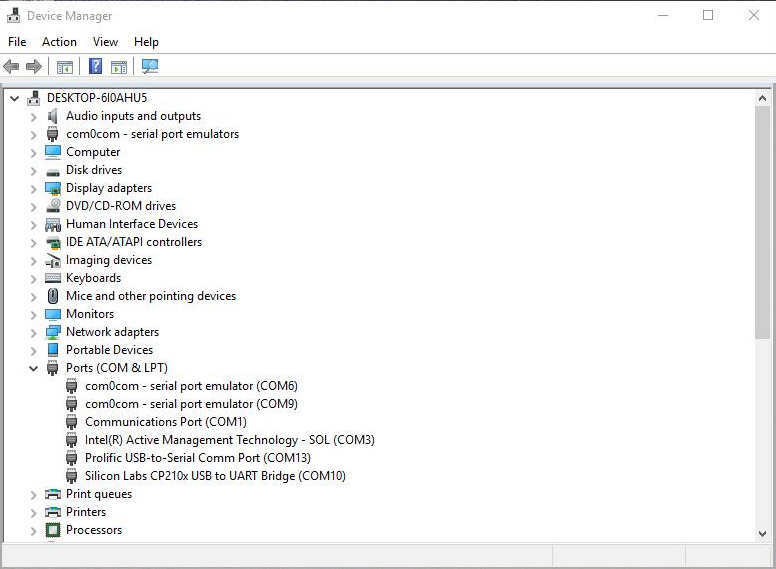 These settings work with all of the Windows software I use. I do not have to change anything in the radio when I change software programs. 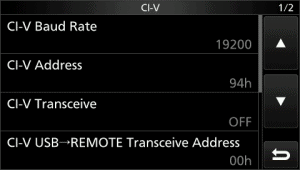 This will work with other transceivers as well. Just use the model radio you have. 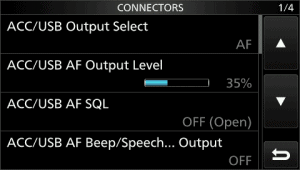 After connecting one time you will have a preset you can use. 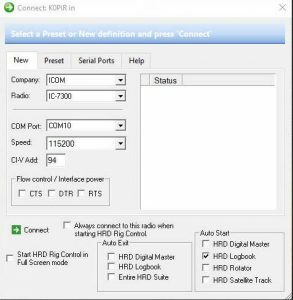 Ham Radio Deluxe Rig Control Opens. Yours will look different because I have customized mine. See the link below. 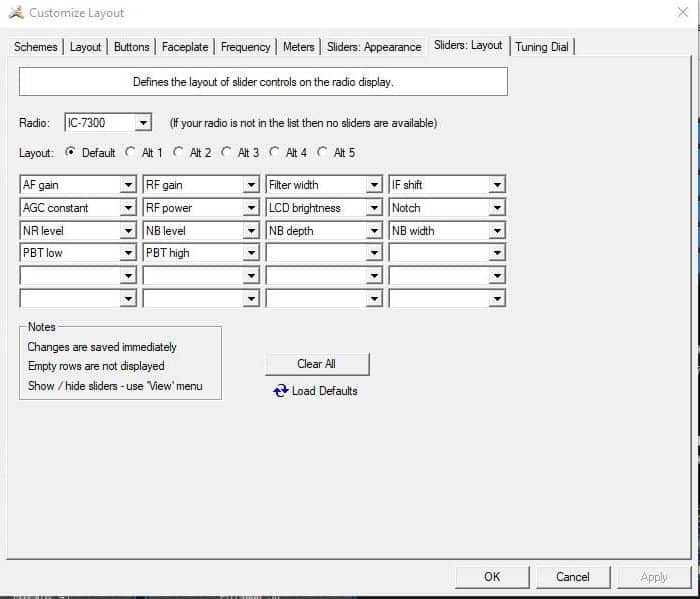 The video and images below shows some customization of buttons and sliders that come in handy when operating. There is also a download of my color scheme below. 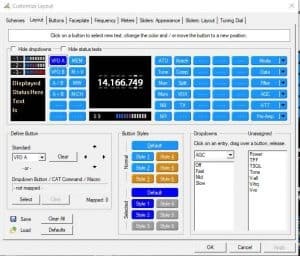 Are you waiting for the panadapter display to show up in Ham Radio Deluxe? I prefer the comment section here or in YouTube over e-mail because your comments and questions will help others as well. I keep getting a comment too tong message try to send a comment. not sure why. Thanks for your website and videos. Own a 7300 and 756proiii. Won’t say anymore to see if this message works. Thank you so much for letting me know. I’ll have a look at it and see if it can be changed. Nice to here from you and thank you for commenting. Yes the SWR is one I pay attention too also. 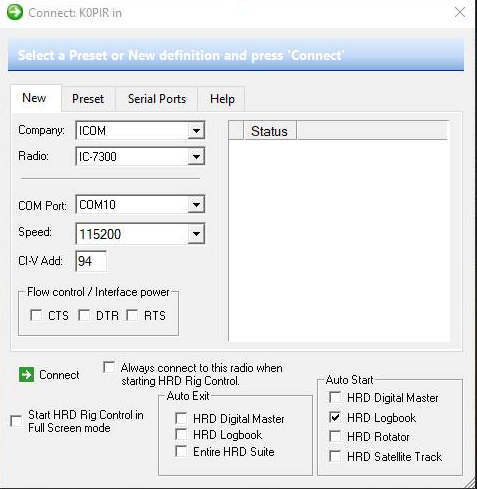 In the HRD Rig Control window (top left) I have three meters (bars). ALC, PWR and SWR. I don’t think they are very reliable, but an indicator at the very least. I have not used HRD for remote, yet. 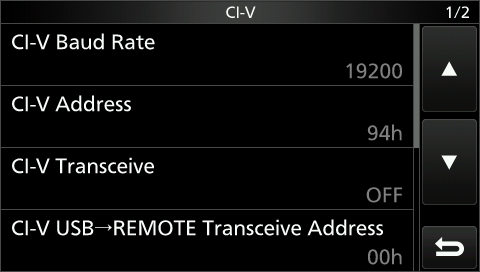 I have done the ICOM S-Meter Calibration. When I transmit the S Meter (large bar) goes to SWR. I think it is the best to look at for an indication of SWR. More than a pan adapter, I’d like a meter for SWR. 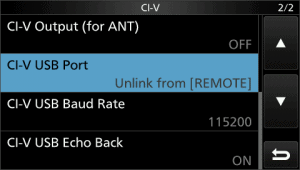 If I am operating remotely, I’d like to make sure the tuner was tuned properly if I changed bands, or depending on the antenna I used.